Notre Dame sophomore T.J. Gibbs has been named the Atlantic Coast Conference Basketball Player of the Week, while Miami freshman Chris Lykes earned ACC Rookie of the Week honors. 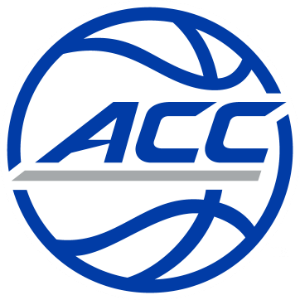 The ACC weekly accolades, which were determined by a vote of a 15-member media panel, are the first of the season for both players. With preseason ACC Player of the Year Bonzie Colson and fellow Wooden Watch List member Matt Farrell both sidelined by injury, Gibbs stepped up as Notre Dame’s team leader and playmaker as the Irish won a pair of ACC games. In an 88-58 victory over NC State, Gibbs scored a game-high 22 points and grabbed a career-best seven rebounds as the Irish secured head coach Mike Brey’s 394th victory at Notre Dame and made him all-time winningest men’s basketball coach in school history. At Syracuse, Gibbs kept the Irish in the game in a tough shooting first half, scoring 14 of Notre Dame’s 19 points. His two free throws gave the Irish a lead with 2:25 left in an eventual 51-49 victory. The Scotch Plains, New Jersey, native finished with a team-high 18 points. The win marked the first for Notre Dame in the Carrier Dome since 2007. For the week, Gibbs averaged 20 points, 5.5 rebounds and 4.5 assists. Miami’s Lykes averaged 13.0 points and 3.5 assists in two ACC outings versus Georgia Tech and Florida State last week. Lykes, a 5-7 native of Mitchellville, Maryland, went 6-for-10 from field and scored a career-high 18 points in a career-best 25 minutes in an 80-74 win over No. 24 Florida State on Sunday. That followed his career-best five assists and eight points in last Wednesday night’s road game at Georgia Tech.